Windows operating system has so many essential components for various purposes that you may or may not know. You already may have heard about the Software Distribution folder. Most users don’t know about it further. This article will explain what it is, can you delete, rename or modify this folder or not and how. You should know that the Software Distribution folder is an essential component for Windows. It stores temporary files and data that requires to update your PC. Every update comes with security improvements and bug fixes or even with new features. 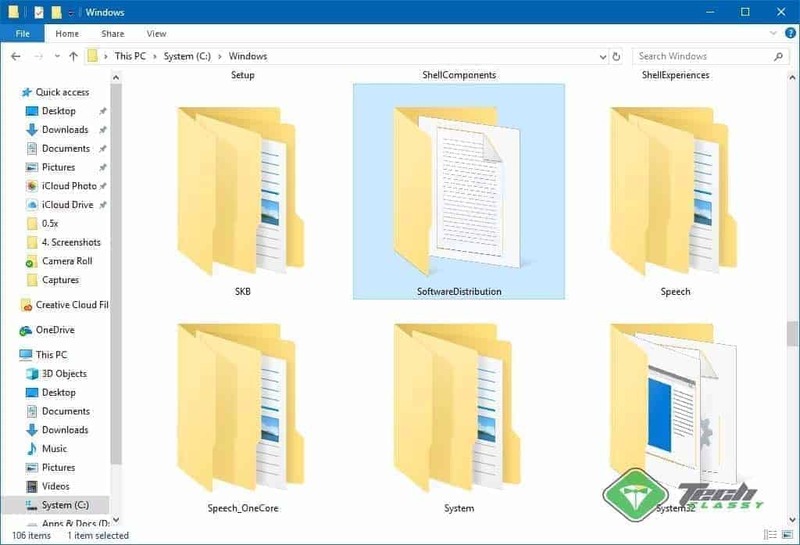 So, This folder is a vital part of your PC. Generally, WUAgent (Windows Update Agent) manages this folder. So, You should not touch that folder and leave it alone. But, Sometimes, The components of it may get corrupted. As a result, users may encounter various Windows update related problems. A question may arise on your mind “Can I delete, rename or modify this folder?” The short answer is yes. But, You will have to do it systematically. In case, You are having troubles like Windows is not is not downloading or installing the update files or any other update issues, you may need to clear Software Distribution Folder’s contents. You also may need to rename it if needed. So, Let’s see the proper procedures. Typically, Windows won’t allow deleting a single thing from this folder. So, You will need to go through a systematic way to clean it. In the command prompt with administrator privileges, type the following commands and hit enter for each. 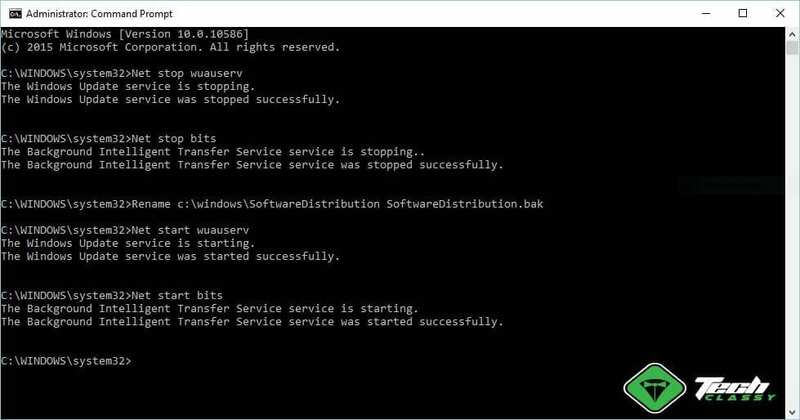 These commands will stop the Windows Update and Background Intelligent Transfer Services. Now, Go to C:\Windows\SoftwareDistribution by using Windows Explorer and delete everything from there. After that, run the following commands to restart the services that you have stopped. And that’s it. You have successfully cleaned the folder. You may want to delete software distribution folder. Yes, You can. But, I suggest you rename it rather than deleting. Because, When Windows doesn’t find this folder, it will automatically create a new one. If you have renamed the folder to something like SoftwareDistribution.bak, you can quickly restore it if there is any problem. By the way, here are the procedures. At first, Run the command prompt as an administrator like before. It will stop the services that prevent you from modifying the Software Distribution folder. By the way, Now, You can rename this folder by running the following command. If you want, you also can go to C:\Windows, find the folder and rename it manually. After renaming, enable the services again by running these commands. Now, Windows 10 will create a fresh new Software Distribution folder and start using it. You should not modify this folder until there is an emergency. You should keep in mind that this folder contains essential update components and history data. So, When you empty it, you also clean the update history. Immediately after, deleting components of Software Distribution folder, Windows may take time to download and install the update for your PC as it has to check everything and recreate the database. But, After that, It should be normal again. By the way, I hope this information will help you to rename or delete the software distribution folder on Windows 10. If you have any suggestion or question, the comment box is open for you.